Tacos may be a perfect food. They are relatively small. From a cooking standpoint, they are imminently riffable. You can go totally crazy with exotic ingredients or simply brown some ground beef. Tacos make great snacks and they are also a late night go-to for binging. Between the old franchise standbys and the explosion of food trucks and Mexican and Central American eateries, we’ve got an incredible variety of tacos available here in Sioux Falls. 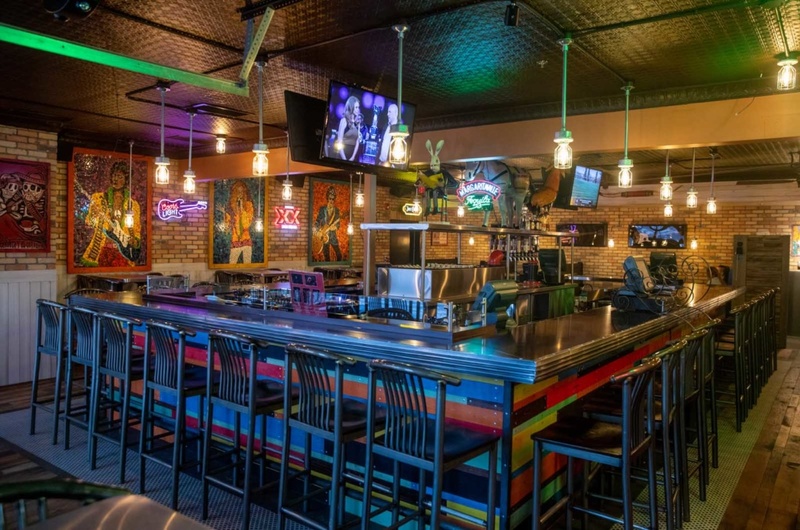 If you want to see the newest twist on tacos, you need to go check out Vinyl Taco, and the Social Club, located on Western Avenue in the former Borrowed Buck’s space. 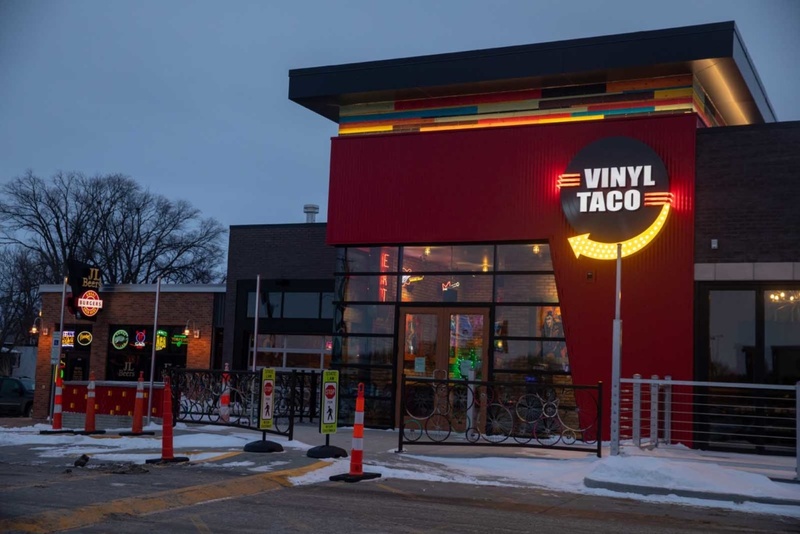 Unless you’ve spent the last month totally snow-bound and cut off from all forms of communication, then you probably already know Vinyl Taco is another brain child of that group up in Fargo that brought us JL Beers. 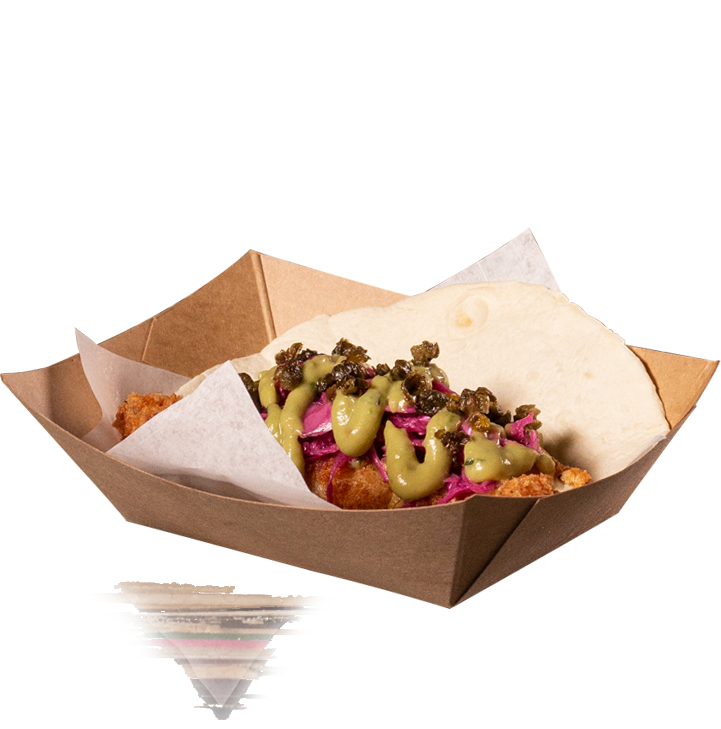 The Vinyl Taco concept is very similar. Small space. Mostly bar seating. You must be 21 or over to enter. Quick service. Now, just swap out the burgers for tacos, knock out a bunch of the craft beer tap lines in favor of a full bar with margaritas and cocktail features, add music from an extensive collection of vinyl LP’s, and you’ve got the basics. Before we get to the details, let’s pause for a couple reminders. Vinyl Taco has been open a month or so. That means everyone and their dog is trying to get in there to check it out. Even though the seating system is slick and efficient, expect a wait. Note, a short wait can be a bonus if the Social Club is open. Expect some service hiccups. The menu and operation is new to the staff, too. Prepare to cut them some slack. And, finally, the music is a feature as opposed to mere ambiance. That means the volume is on the loud side — just like I prefer. So, to recap, if a wait to get into a relatively crowded space with loud music is a problem, you’ve been warned. If those things are not a problem, you’re probably going to like Vinyl Taco. I was ecstatic to find myself confronted with a 30-plus minute wait when I recently visited, because that meant we got to go into the Social Club while waiting for a space to dine. “Social Club” is a bit of an understatement in my opinion. It’s more like an adult activity center. The footprint is not as roomy as I recall Buck’s to be. Granted, that’s not saying much. 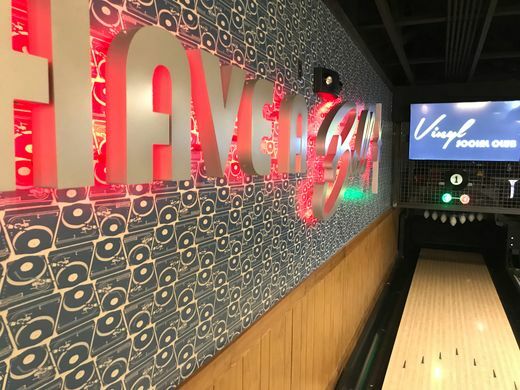 On the other hand, the Vinyl Taco Social Club is jam packed with all sorts of fun like skeeball, arcade games, duckpin bowling, a stage for potential lip sync or karaoke showdowns, and a DJ spinning more vinyl. Add alcohol, a limited appetizer menu, and cool decor, and I think you get the point. I was almost disappointed when a text message alerted us our space was ready back at Vinyl Taco. * The margaritas are too cool for school. 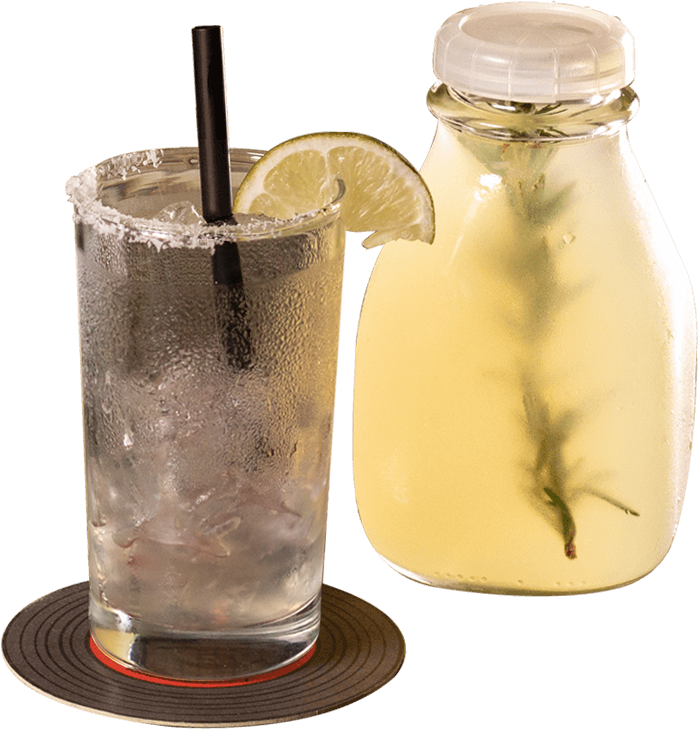 Vinyl Taco serves margaritas by the pint or quart in old-school glass milk bottles. How’s that for cool presentation? Tasty and hip! * Skip the chips, it’s skin to win, baby. No, you don’t get an endless parade of chips and salsa, but you could order some. Don’t. Look further down the appetizer menu for chicken chicharrones. Translation: chicken skin fried crispy as a potato chip and served with a snappy bbq sauce or a creamy ranch sauce. If that grosses out your dining partner, remind him or her this is a keto-friendly option. Or blame not hearing them on the loud music. But, try these. * Go bold, or go home. You’re going to see some same-old options on the menu like ground beef and cheese tacos, and even steak or chicken fajita options. I’m sure they are great, but you know those flavors. Instead, give the chicken tinga a try. You’ll discover slightly spicy, smoky notes from chipotles offset by some cool crema. Go for the crispy chicken and mango to experience crispy fried chicken with bits of tropical mango garnished with a bit of spinach and a tangy vinaigrette. The fish tacos with delicate whitefish, slaw, and an avocado salsa are also well worth a try. As long as we are talking seafood, go for the shrimp tacos that pair grilled shrimp with creamy corn and the avocado salsa. The only choice that didn’t work for me was the pork belly agridulce, which features a sweet and sour braised pork belly slice. The belly was meltingly tender, but the fried onions made for a distracting texture combo, and I had no idea what to do with the side of au jus. * Don’t fear the burn. Like most places around town, spice levels are not cranked up to the point where you fear the next bite. This is all about unique flavor combinations. Much like a good taco, Vinyl Taco is a combination of various ingredients. I don’t expect to see any James Beard awards hanging at the entry, but that doesn’t mean the food isn’t tasty and inventive. It is. 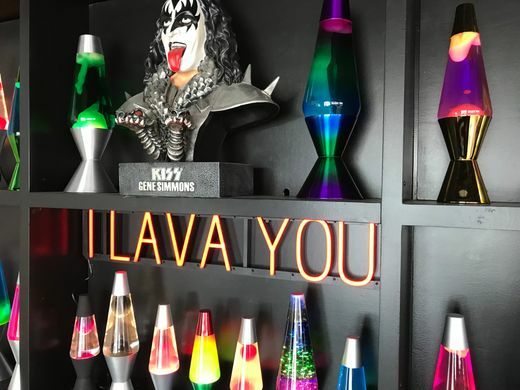 Add a nice variety of well-made and stylishly served beverages, an exciting soundtrack from vinyl records, and an overall fun atmosphere and you’ve got one big spicy experience. I am looking forward to my next bite. Vinyl Taco Social Club is serving up drinks and entertainment in southern Sioux Falls, the finishing touch on the transformation of the old Borrowed Bucks space. 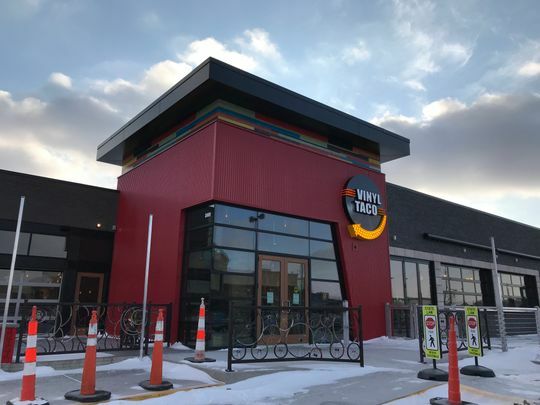 The creators of the Fargo-based concept opened the restaurant side of Vinyl Taco earlier this month, waiting a couple of weeks before unveiling the other part of the building. 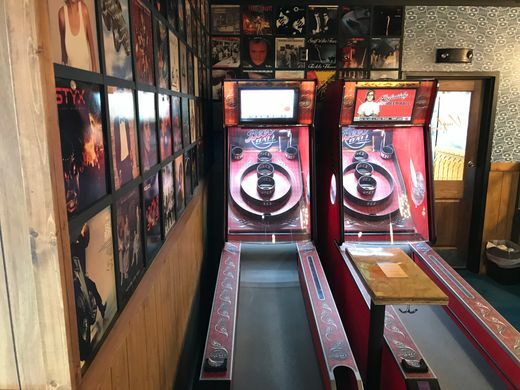 The Vinyl Taco Social Club side is filled with duckpin bowling lanes, a dance floor, Skee-Ball machines and a design feature co-owner Kirk Kuepp called “the wall of sound,” which is set up in front of the DJ booth where classic rock from the 1970s plays on vinyl. There’s also a big screen TV reserved for Mario Kart tournaments. Vinyl Taco cooks started serving up freshly prepared Mexican dishes at the beginning of February. The Social Club opened its doors mid-month, operating on a different set of hours and its own menu. The Social Club is open 4 p.m. to 2 a.m. Wednesday and Thursday, and noon to 2 a.m. Friday and Saturday. 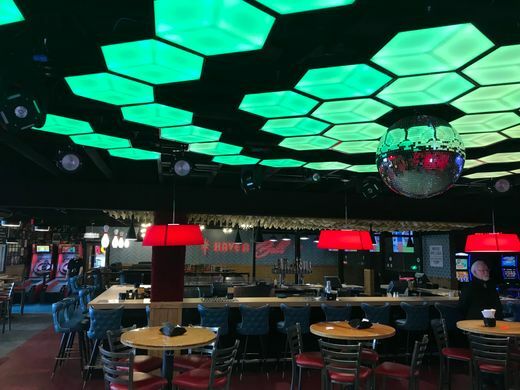 Revelers at the Social Club will still be able to order food, but from a more limited menu that matches the appetizer offerings at the restaurant next door, Kuepp said. Kuepp is part of an ownership group that also owns J.L. 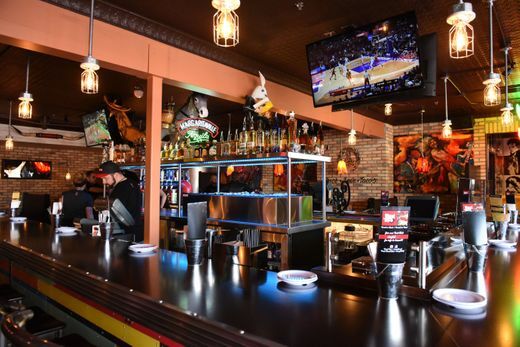 Beers, another Fargo-based eatery introduced in the Sioux Falls market. 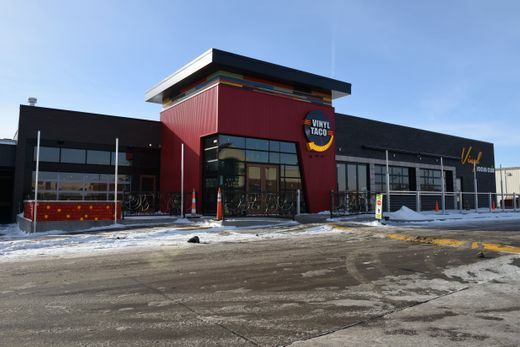 The same team of investors owned Borrowed Bucks until the bar closed in 2017 as its owners brainstormed a new direction for the site, located at 3609 S. Western Ave. near Scheels. Kuepp said Sioux Falls’ reaction to the social club has been positive. “It’s been received very well,” he said. Keupp is part of a team of investors who also owned the Bucks and J.L. 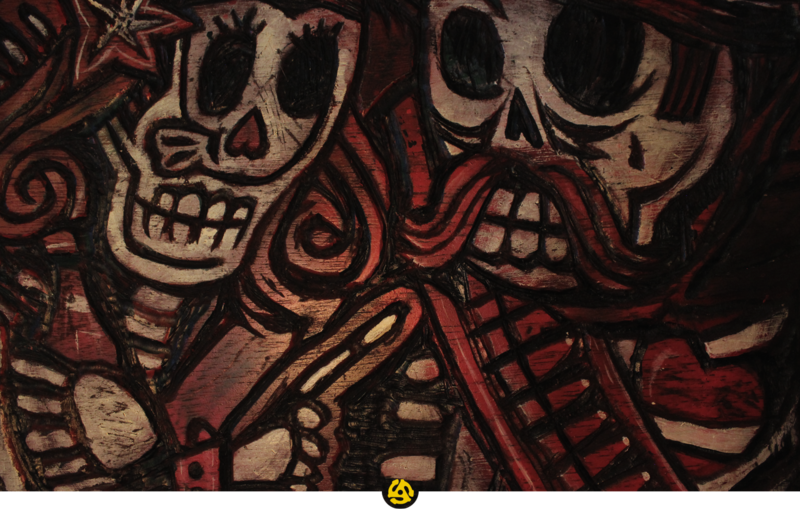 Beers brands. Vinyl Taco is the most recent of the group’s restaurants to make its way from the Fargo market to Sioux Falls. It mixes a wide variety of Mexican dishes with classic rock, all played on Vinyl Taco’s selection of about 1,000 vinyl records. “We spin albums every day,” Keupp said. Menus are all attached to the back of old record cases. Flip over a copy of Bee Gees 1st and you’ll see Vinyl Taco’s selection of burritos, fajitas, enchiladas and specialty tacos. 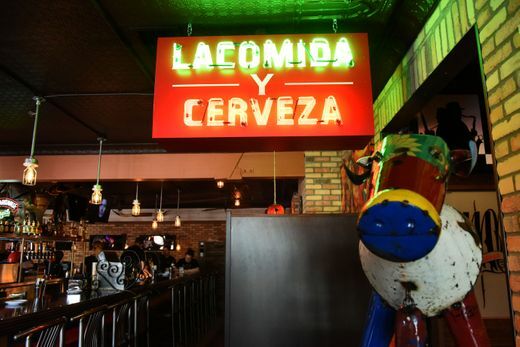 “We wanted to do street Mexican or a boutique Mexican place,” Keupp said.